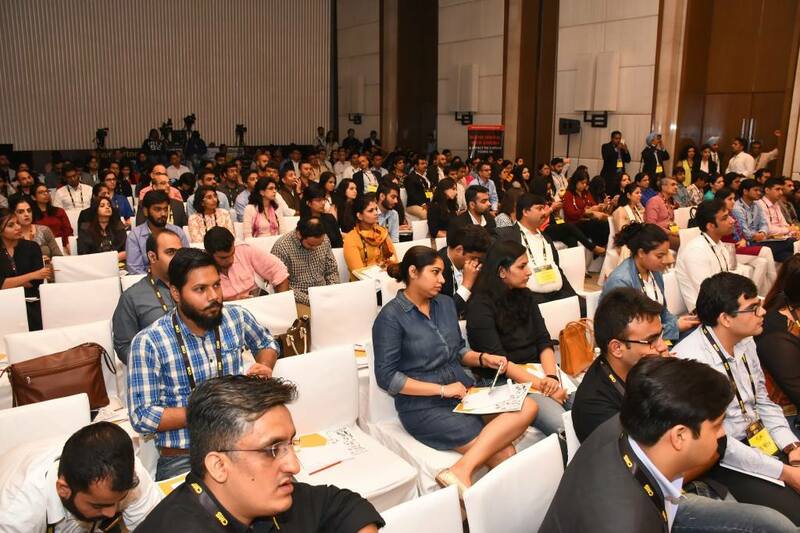 I attended the Content Marketing Summit 2016 held recently, and even though I could not stay till the end because of duty calls, I learnt quite a few things! Ashish Patil from Y-Films took us through how to be the SULTAN of content marketing – How to create the most HUMAN content and experience? 1. Self-Intoxication – People are self-obsessed these days, love themselves and will need to know what there for them. 3. Right here, right now – Apparently, according to recent studies and stats, a human being’s attention span is lesser than a Gold fish. We have an attention span of 8 seconds now, and a Goldfish has that of 9. Unfortunate as it is, it means that whatever information has to be conveyed, has to be done super-fast. 4. Constant Connection – You cannot interact with your audience for once and then forget about them. They need to feel constantly connected to, via different mediums. 5. Purposeful Relationships – Do something because it’s the right thing to do. Without a purpose, everything is meaningless. Flipkart Stories is Flipkart’s own blog where they share behind the scene stories, customer stories and any other interesting story they have for us users. Right from Flipkart’s first customer, to first employee and so on. 1. Strong Character – Imagine Ramayana without Ram or Ravana, or Sholay without Jay & Veeru. A story can be perfect only when it has strong characters. 2. Emotional Connect – Unless one cannot connect to the story emotionally, feel the pain or passion, the story won’t be perfect. 3. Universality of Theme – Your story needs to have a global appeal. Any one from any part of the world can understand and relate to Romeo & Juliet. 4. Conflict – No story is complete without conflict, a twist in the story, hurdles and obstacles. What would Ramayana be all about had Sita not been kidnapped? Then we had Ajay Gupta from Ching’s who took us through the thoughts behind the return of Ranveer Ching – the short film directed by Rohit Shetty. It was quite interesting to know their point of view since the campaign got mixed reviews. “Done is better than perfect.” – Quite a debatable statement, but I agree, sometimes to meet perfection, we end up not executing at all. “Brand-lift” – A measure of success, calculated by the number of people talking about a brand. “Mind-Measure” – Top of the mind recall and affinity. “Tea-taster” – Recognizing the right blend required for the brand/campaign. I wish I could have stayed till the end, but thank you CMSAsia for organizing the event. And Trident, BKC; what a humble crew you have and what amazing food!